Change Management and dealing with changes is a key project management function for any industry. There might be enormous variance in efforts, cost, schedule, quality of deliverables if changes are not handled effectively. Many projects are delayed and many other are closed (terminated) because project managers were not able to manage changes. 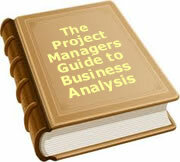 Change management and dealing of with scope or requirements change is an importance function of project managers. However clear the requirements are, whatever the tool used for documenting requirements ( right from Rational tools to Word document ) and whatever the category of execution model ( Pure Waterfall to evolutionary prototype ) requirements are bound to change. The only difference to change is to what extent, and what is the impact on project success or failure. Having said this successful execution of any project relies on how good and effective is your change management mechanism. This is the reason why Monitoring and Controlling Process Group ( Section 3.2.4 of PMP handbook ) is such an important section. Execution Model: Fixed Price project executions model demands requirements to be crystal clear. So efforts taken on such projects to control scope are more compared to Time and Material or other models. Cost Variance: Customer paying for changes or implementers bearing the cost impact affecting their bottom line. Customers who are mostly moving from a manual system to a digital systems (Example: Product Life Cycle Management ( or Product Data Management ) systems like MatrixOne from Dassault Systems or TeamCenter Engineering from Siemens or PDMLink from PTC) . Follow process defined by basic product (Out Of the Box – OOTB features). You may need to change some of your processes. Maybe you may have an Engineering Change Request ( ECR ) process coupled with Engineering Change Order process ( ECO ). If OOTB product is providing a separate ECR and ECO process, and it has some benefits, you should explore the option of revising your Change Management process framework. Change OOTB process to fine tune their requirements (Configure or Customize the product). Your ECO process may have different workflow compared to OOTB product process. This means you need to configure or customize the product. Your existing change management process does not match to OOTB process so you may have to develop a separate module to overcome this process gap. Features demonstration of new system if it’s a product with key end users and IT staff to get their buy in on OOTB features. Preferable follow an “Evolution Prototype” model for project execution where you get a set of requirements, develop, implement, test, get user feedback, refine solution and then define new sets of requirements. Avoid following RAD (Rapid Application Development) model. It’s a big risk unless you know your customer well. These set of customers are those who have already gone through one cycle of digital systems and know the benefits of new systems. Also they understand possible hurdles for these projects. Few of them understand the importance of requirements and its documentation but feel that with the knowledge they have on past systems they can cut short the requirements phase to save efforts or cost. They fail to realize that each implementation is new and goes through a number of iterations / phases. Some examples are customers moving from in house system or legacy systems ( like Mainframe ) to some new system like PLM or ERP system ( like SAP or Oracle Manufacturing). Very high expectation from new system. Approach taken while defining requirements ( during Scope Planning section 5.1 and Scope Definition Section 5,2 of PMBOK ) to compare problems they have faced while moving from manual systems to digital systems. They expect to resolve all problems faced during their earlier implementation without understanding the real caused of these problems. Sometimes they give less importance to the “Requirements Phase” and try to cut short this phase by defining very high level requirements or passing their own existing requirements documentation from earlier implementation. Implementers (if they are part of the past few implementations for the same customer) think that they know the customer so well that there is no need to have a detailed customer requirements phase or documentation. In fact sometimes they get to bid against their competitors as they calculate the cost of requirements phase is very low. Maybe it’s a good selling point but should not be done at the cost of reducing the requirements phase which is most critical for successful project execution. Some of them have the approach to follow the old system which the customer is already familiar with so do not want to explore the benefits of a new system or new product released version. Sometimes they get carried away with the relationship one set of users. Few implementers want to make the customers unhappy so they follow what the customers suggest. Implementers failed to realize that although they are doing exactly similar implementations for the organisation in other country they are dealing with a totally different set of users. We can achieve better Scope management by following some basic steps. Freeze requirements or Scope before start of engagement. These are the changes not suggested by the customer and may or may not need customer acceptance but they are required because of some new methodology or approach. For example while estimating efforts we have not considered usage of tool like productivity improvement tools or technical tools for data migration or upgrade. These tools might have reduced efforts on the project but they should be tracked to ensure proper control of the projects. 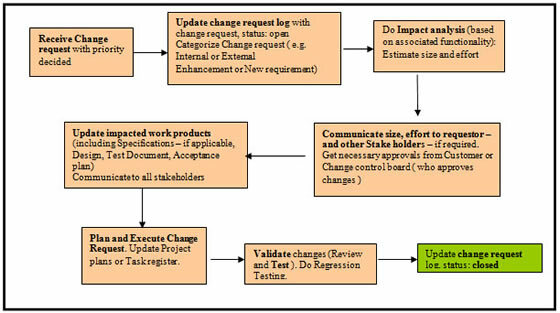 Follow Change Management workflow guidelines for approval or rejection of change request. Do Impact Analysis for potential change requests and communicate the results to the Change Management Control Board (CCB) and end customer. For major change requests it is preferable to develop a Proof Of Concept (POC) and understand impact / get end user buy in. Define effective version control system (and Release Management) to track and control changes. There will certainly be a few additional steps based on the nature of engagement and the type of customer. If we take care of these basic steps we can avoid some of the impact of “Requirement Changes”. It is though a herculean task to avoid changes in products or systems even if the scope is frozen before the start of the development phase. Manoj Deshmukh has engaged in the management of several offshore and onshore projects as a Project / Delivery Manager/ Delivery Head. Manoj is a PMP certified Project Manager with around 15 years of experience in Engineering and Project Management. He has managed many projects / programs across the globe in US, UK, Europe, APAC. He has managed a number of different project types including Product Development / Services, T & M / Fixed Price. He is BE (Mech), Post Graduate Diploma in Business Management, Post Graduate Diploma in Software Engineering and has extensive experience in the Automotive domain and IT.